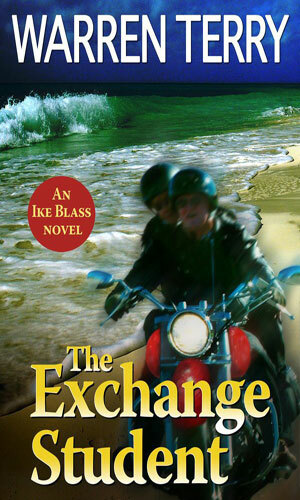 Ike Blass is an agent with the CIA. Ike, a nickname given him since his real first name is Eisenhower, is a man of three careers. The first started when he graduated from college in the mid 50s. He and his best friend from university, Jamie, had been recruited by the Agency as they neared getting their diplomas. Several different assignments sent him to various parts of the world as would seem normal. We know that he was working on a mission in Cuba in 1959 when the Batista regime fell and Fidel Castro came to power. The people and relationships he established back then would return to affect him much later in his life. We know that he was working with Army Intelligence in Vietnam during the mid 60s for it was there that a mission went terribly wrong and he was captured and tortured for some time before his pal Jamie pulled him out and carried him ten miles to freedom. His injuries were enough to get him sent back to the States. One confusing element is that he is referred to more than once as having been ex-Special Forces. When he went from college to the CIA to liaison with Army Intel to the Special Forces is not known but the mentions are there so apparently he did. It was at some point after that he left the Agency and went to work in his native Texas and soon became a Texas Ranger and must have done well enough in that law enforcement bureau that he was known to his superiors as a good and dependable man who reached the rank of Captain. During this time he met and married Sylvia. Their marriage would last 5 years before she grew tired of his constant absence for work and left. The first recorded adventure for Blass takes place during the second half of the 1980s. A planned summit between Reagan and Gorbachov was being threatened by hardliners in the USSR and an American-German scientist is kidnapped. The Agency was in need of someone who know the man to help in his retrieval and that turned out to be Blass. Reluctantly he agrees to help and by the time that mission was concluded, he was back with the CIA full time. Blass is in his late 40s, early 50s during the adventures available. He is said to be quite handsome in an aging-well sort of way. He has worked diligently to maintain his physical abilities as much as Mother Nature will allow. He shows several times he is in no way a rash dive-into-danger sort of operative but neither is he bashful about getting into the thick of things. The kidnapping of an American hi-tech scientist in Stockholm and smuggling of the person into the Soviet Union is causing major problems for the upcoming summit between Reagan and Gorbachev. 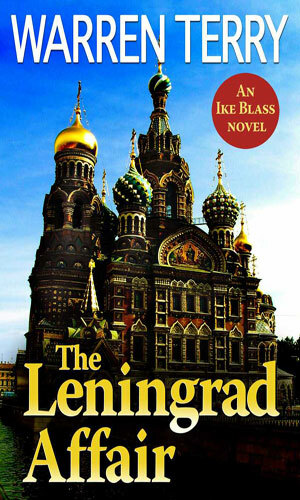 The CIA asks Ike Blass to come back into service to handle the situation and the KGB sends Natasha Yazova to assist. But whoever has done the snatching is not anxious to be found. The order came from bin Laden to kill President Bush. Taking up that call is the Moroccan, a sociopathic killer who relishes the task. Out to stop him is an MI5 agent named Maria Lopez. She gets linked with Ike Blass as they learn the killing target is not just Bush but also the President of Mexico. Really nice, solid, entertaining adventures. That is how I am describing the two tales of activities of Ike Blass. There is a mile amount of "I am almost captured, I get free, rinse and repeat" but luckily it does not go too long in either adventure. As I am now well past the age of this character, I nevertheless take pleasure in the fact that he is not a young whipper-snapper but someone who has been around the block quite a few times. I would like to be able to say I was as daring and capable at his age that he is but since I do not like to fib, I cannot. I would also like to say I was as irresistible to women as Blass seems to be at that age but my wife would probably just chuckle. So, good stories told well and worth the few hours each will take.